Are there potentials in central city revitalization? What role will the federal government play in determining future retail locational choices? 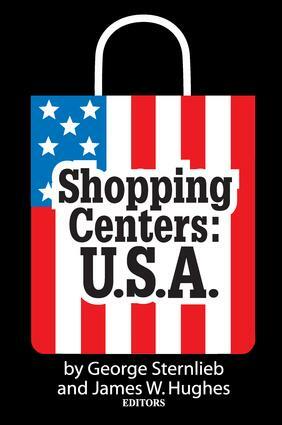 Shopping center development has never been more popular-or more hazardous than it is today. Retail distribution in the United States has greater efficiency than anywhere else in the world, a tribute to the adaptability and rationalization of systems which have characterized the field. The pressures of the future, however, require greater exertion if they are to be adequately met. The industry drive to the new "middle markets" may change the face of small city America-or it may lead to a blind alley. As central cities, aided by EDA (Economic Development Administration) and UDAG (Urban Development Action Grant), gird up for revitalization in the face of reduced real buying power, these issues take on increased vigor. A whole new legal fabric is evolving in the development of major commercial facilities. Does it mark the path of the future-or is it an ineffectual last gasp effort to reshape the basic overwhelming trend lines of American life? How do we get a grasp on these parameters? Whether city planner, economic or marketing consultant, investor, or developer-much of our future depends on the answers. The authorities brought together for these specially sponsored papers are the best in the business-and provide key insights into this dynamic field. Demographics and consumer response that challenge marketing and planning professionals are also included. Conceptual Lags in Retail Development Policy or Can the Carter White House Save the CBD? Section V: ARE WE OVERBUILDING? Are We Overbuilding? Is Large Gobbling Up Small?